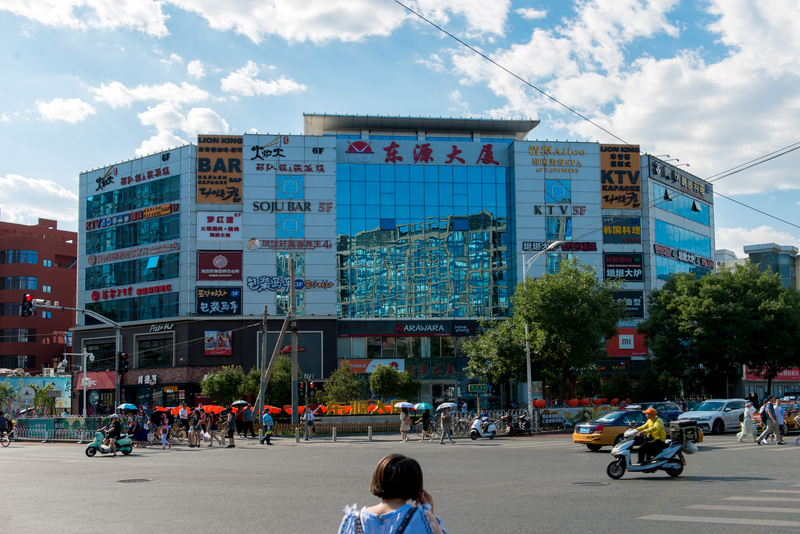 Beijing is a fascinating, fun, massive, and, at times, challenging city to live in. But it is also the cultural and political center of China, offering many opportunities for academic enrichment, career development, and personal growth. IUP staff will share more advice and strategies for adjusting to Beijing during Orientation Week. 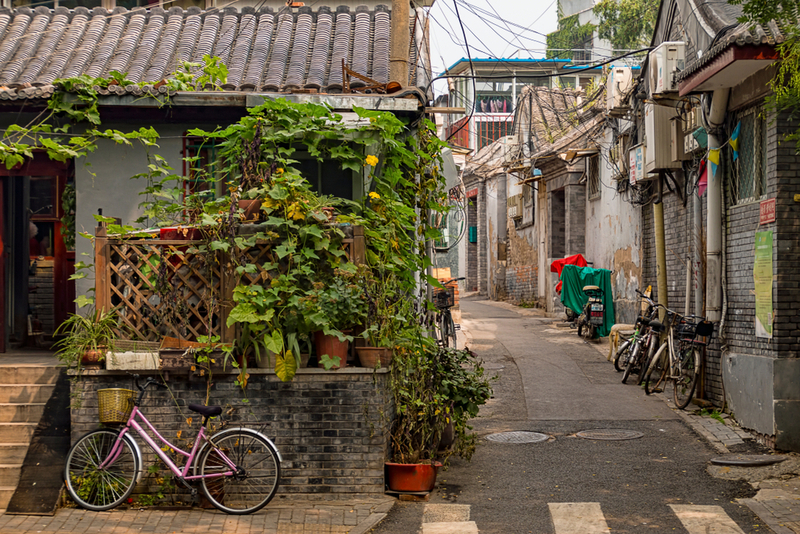 Beijing is a thriving city with twenty-one million residents. There is an undeniable energy in the city, as people go about their daily lives, new infrastructure and buildings are under construction, and the city’s history and traditions are constantly being reimagined. 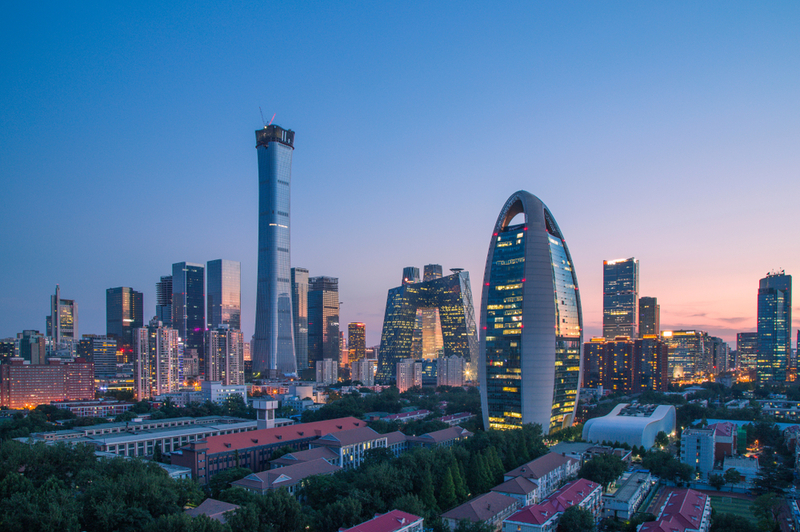 As the capital of China, Chinese from all over the country and hundreds of thousands of international residents are attracted to what the city has to offer. Depending on what you’re looking for, you can find cutting edge technology, glitzy new buildings, or traditional temples and cultural sites that have stood for centuries. 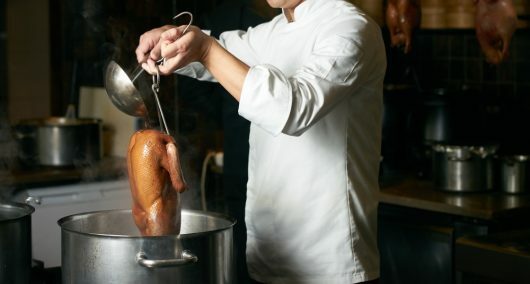 Beijing has a rich and constantly evolving restaurant scene. 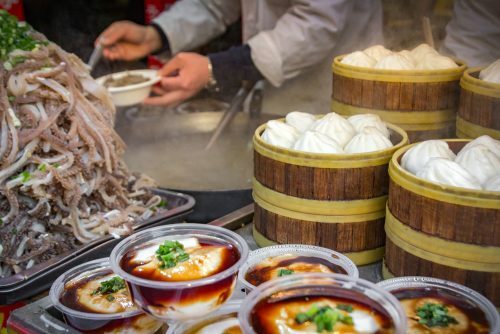 Residents can find traditional Beijing snacks like dumplings, jianbing, zhajiangmian, or Peking duck in both hole-in-the-wall spots and fine dining establishments. 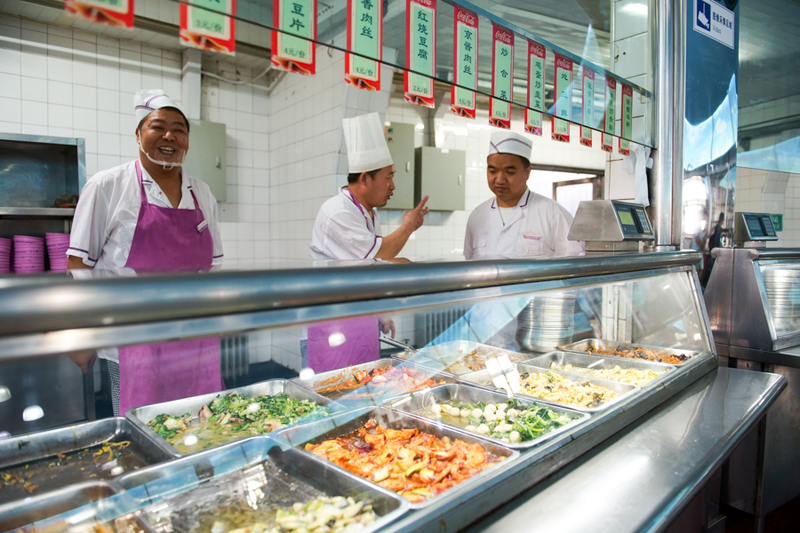 Every one of China’s regional cuisines are represented in Beijing, as are international foods from all over the world. 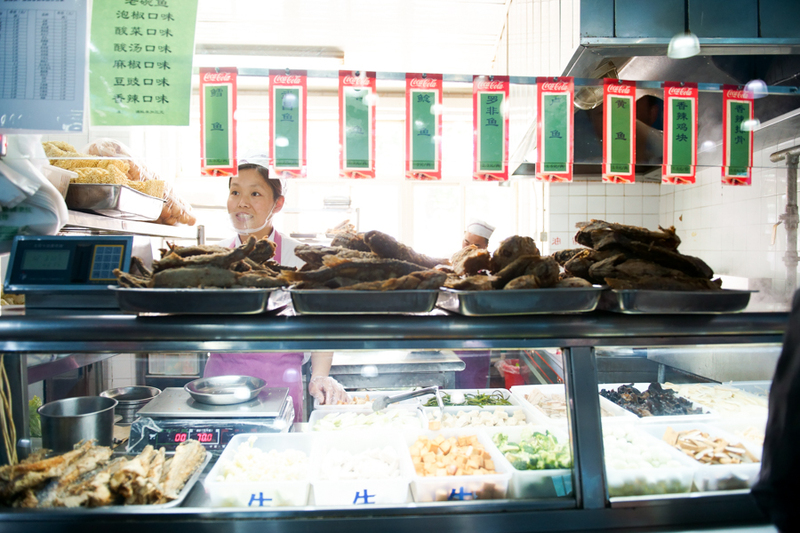 In the Wudaokou neighborhood alone, IUP students can choose from Korean, Japanese, Italian, Pakistani, American, and many other types of food. 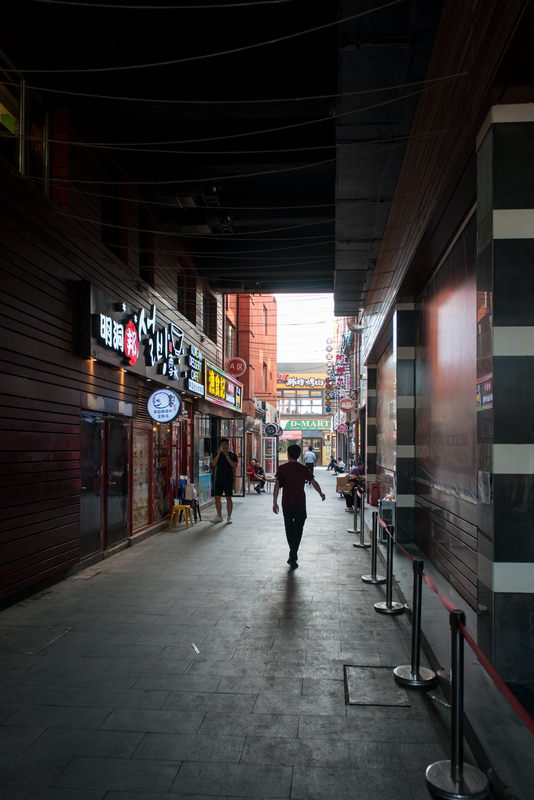 Once students begin to explore the alleyways inside the Second Ring Road or the fancier dining options in Chaoyang District, there are more food and beverage options than one could possibly try over their stay in Beijing. 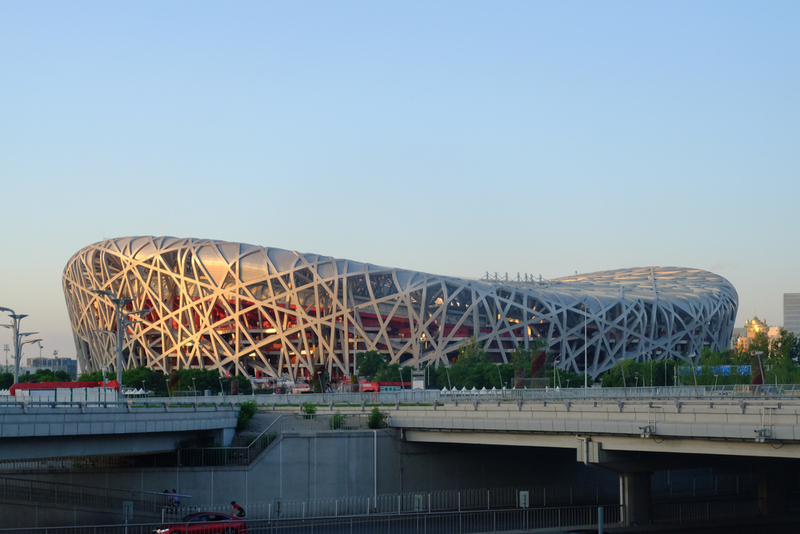 Beijing also offers many different entertainment options that naturally come with living in an international city. 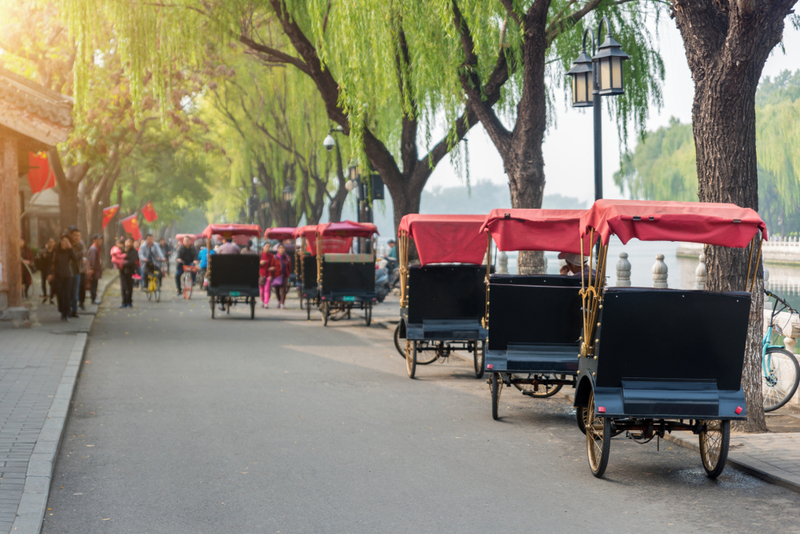 From early morning rounds of taijiquan in one of the city’s many parks, to Chinese chess in the hutongs, or the cycle of lively festivals and fairs throughout the city, interested students can experience the rhythms of traditional life in the city. 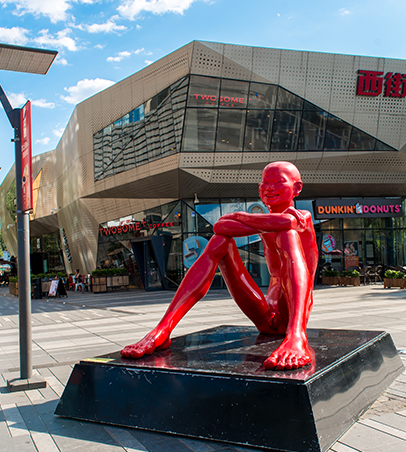 Beijing is also the center of the contemporary Chinese art scene, with many galleries and workshops throughout the city. Similarly, the music scene has flourished in Beijing, with local Chinese bands as well as international acts playing nearly every weekend. 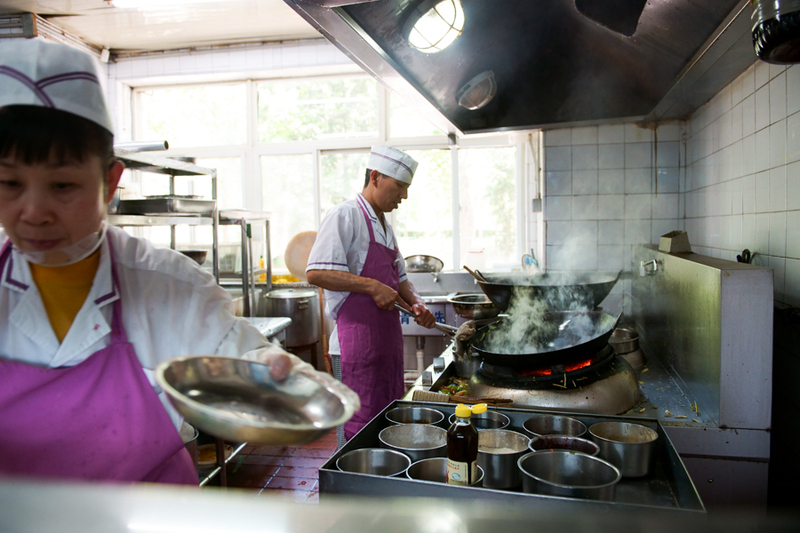 Living expenses in Beijing have risen significantly over the last decade. 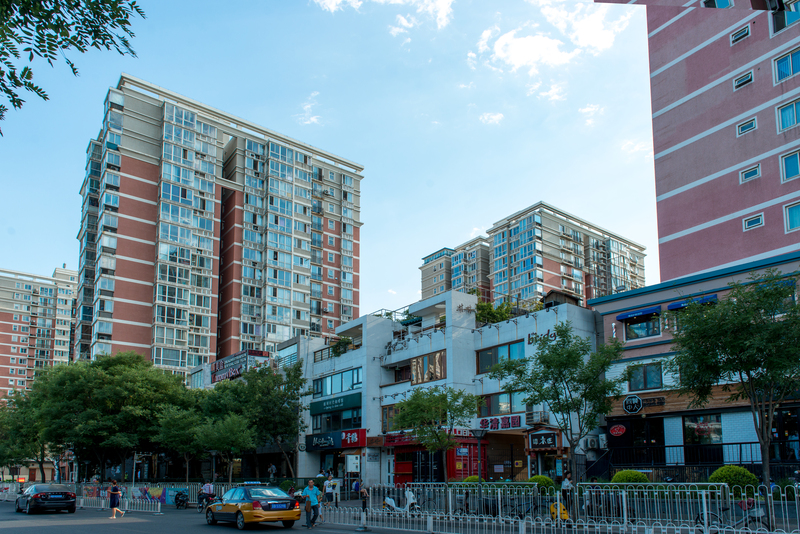 Housing will be students’ largest living expense, with a bedroom in a shared apartment in the Wudaokou neighborhood costing between 3000 – 4500 RMB per month (roughly $450-$700 USD). Food and local transportation, however, can be very inexpensive. You can still find a delicious bowl of noodles for a couple of dollars, but you can also experience fine dining for much higher prices. Using the buses, subways, and shared bike rentals can also get you from one end of the city to the other for under $5 USD. Taxi cabs or ride hailing apps like Didi Chuxing, however, can cost well as much as major American cities. Beijing is a large, spread out city.  Most of Beijing is organized along the cardinal directions (i.e. North, South, East, and West). Taking some time to locate yourself in relation to these four directions will make getting around the city much easier. The Beijing subway system is the best ways to move around the city, especially if one wants to travel a long distance in the shortest amount of time. You should purchase a rechargeable Yikatong (一卡通) Transportation Card , which works for subways and buses so you can simply swipe your card when entering and exiting the subway. Subway rides now cost between 3 and 7 RMB, depending on the distance one travels. In general, one can get anywhere in the city within 40 – 45 minutes once on the subway train. Subway entrance and trains can get extremely crowded during the morning and evening rush hours. Plan your trip accordingly! Nearly all subway stations have Northeast, Southeast, Southwest, and Northwest exits. Figuring out which direction you’re facing when you come out of the subway goes a long way to orienting yourself in Beijing. Subway stations are very spread out in the city, so you should expect to spend almost as much time getting to and from the subway station as you will spend on the train. Beijing has a highly developed network of public buses. It will take some time to learn the bus routes that are most useful for your daily life, but once you do, you can get around for a very low price. The Yikatong Transportation card works on city buses. Rides generally cost a few RMB. Just as Beijing is a large city, Tsinghua has a very large, spread-out campus. For this reason, bicycles are more a necessity than a convenience. You should ride with caution and always wear a helmet. Students can purchase new or used bicycles at shops in and around campus, or from IUP alumni when they finish their studies in the program. You should spend no more than a few hundred RMB to purchase a basic bicycle for getting around campus. More and more Beijing residents are using bike-sharing apps like Mobike. You will need to sign up by entering your full name, phone number, taking a photo of your passport, and paying a deposit, but you can then enjoy short-term use of shared bicycles throughout the city. Please see the Useful Apps for Life in China below. Some students also choose to purchase an electric scooter. They can cost between 2,000 – 10,000 RMB. Electric scooters are very convenient for traveling longer distances in the city but are faster and more dangerous than bicycles. Please ride defensively and always wear a helmet! Beijing has tens of thousands of official taxis in the city, most of which are two-toned sedans with a golden color along the side of the car. In theory, you can stand on the side of the road and waive to an empty cab to be picked up. Recently, however, most Beijing residents use a ride-hailing phone app, called Didi Chuxing, which allows for online reservation of nearby taxis and shared rides. 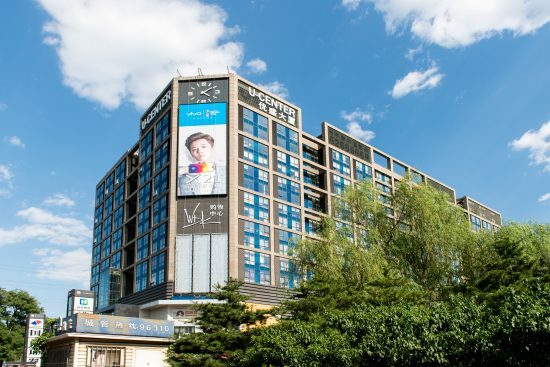 You will need to register with your name, passport number, phone number, and will need to activate your preferred online payment method, like AliPay or WeChat Wallet. Traffic in the city can be extreme, especially during the morning and evening rush hours, or around popular nightlife districts during the weekends. Plan accordingly. (iOS, Android): Essential application for hailing a cab or a car. (iOS, Android): Essential application for life in China, including messaging, digital payment, and social networking. (iOS, Android): One of two online payment platforms in China. (iOS, Android): Food delivery app. (iOS, Android): Restaurants, Reviews, Group Discounts, and Food Delivery. (iOS): App from one of Beijing’s expat magazines. Good information on events, restaurants, etc. (iOS, Android): Excellent dictionary and translation app. (iOS, Android): Baidu’s map app. Includes directions for driving, walking, biking, and public transportation. Essential for life in Beijing. (iOS, Android): Online marketplace with almost anything you could think to purchase. Requires Alipay account for purchases. (iOS, Android): Smartphone application for online shopping. (iOS, Android): China’s dominant search engine. Essential for life in Beijing. (iOS, Android): One of the two major shared bicycle rental applications. Essential for life in Beijing. (iOS, Android): One of the leading social networks in China. Very useful for following interesting news, people, and organizations. (iOS, Android): All the information you need about airline flights, including flight status, airport information, etc. Not an airfare purchasing app. (iOS, Android): Beijing’s subway map. (iOS, Android): Handy app for airline travel, ticket purchase, and hotels. (iOS, Android): Useful weather app. (iOS, Android): Essential app for judging the air pollution levels in Beijing. Will tell you when you should wear your mask outside. (iOS, Android): Air pollution app with sarcastic take on the issue. (iOS, Android): Chinese media produced news, analysis, and long-form articles. Great source of articles to challenge your Chinese reading skills! (iOS, Android): Music streaming app. (iOS, Android): Daily China news roundup, long-form articles, and growing list of China-related podcasts, including Sinica. (iOS, Android): One of the two major mobile payment systems in China. Part of WeChat’s built-in functionality. (iOs, Android): China’s dominant messenger and social networking app. Essential for life in Beijing. (iOS, Android): Essential app ride hailing app. （iOS, Android): Restaurants, reviews, group discounts, and food delivery. 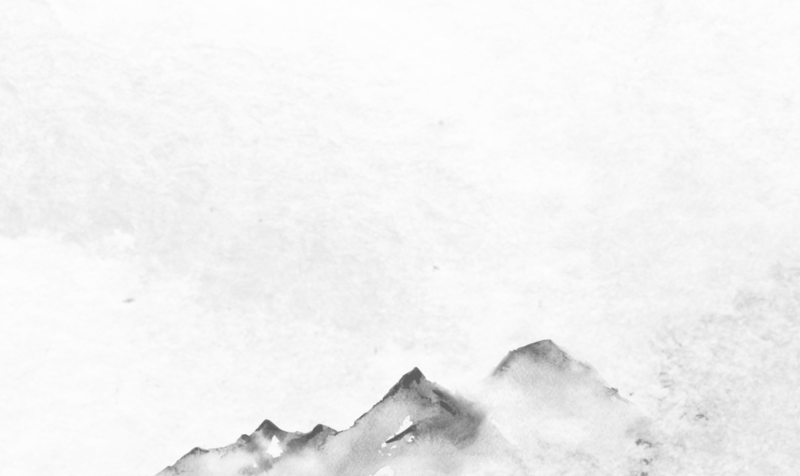 Here are some websites that are great for China-related news and analysis. Let us know what you’re reading and we’ll share it on the website! IUP students can get the educational discount for Sinocism’s members-only email! 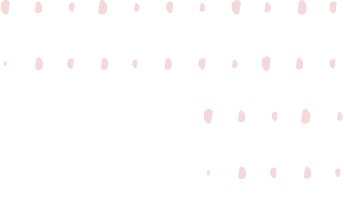 IUP students get a 45% discount on a SupChina Access membership, including members-only email newsletter four times a week, 24/7 access to the SupChina members only Slack channel, and discounts to SupChina events!